Escape to the Caribbean onboard a cruise! Whether you are island hopping, beachcombing, or just relaxing, the Caribbean has culturally unique towns and seaside villages awaiting your exploration. Call us at (800) 990-3454 today to enjoy this exclusive offer. Receive up to $75 Shipboard Credit per stateroom! Western Caribbean. . . .
Eastern Caribbean	. . . . .
Inclusions: Your cruise fare includes your stateroom accommodations, dining, entertainment, and more! Ask about airfare from your city. 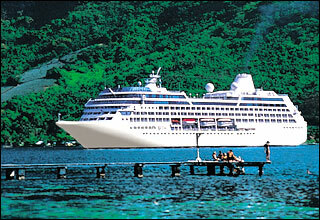 Many other sailings, ships & destinations available; ask for details!